It is no secret that the world of video games has taken a massive revenue hit over the last few years. The software numbers are down, and while some of that can be attributed to the economy, and some to the cyclic nature of the industry, many developers and publishers are scrambling to look at ways to change how they create games in order to remain ahead of the curve and offer customers what they want. And of course, to be profitable. As the industry slumps it is a time for publishers to make changes in order to stay relevant and profitable, and each company seems to have its own ideas on how to model it’s business. While the industry continues to slump, publishers are re-examining their business models and trying to find ways to cut costs, while increasing profits. For some, that will mean less games released, or more chargeable add-ons, while for other it will mean new ways to develop games. Some of the new ideas include Recently EA announcing that it would be cutting boxed game releases by 40-percent and shift its focus to digital and mobile gaming. Ubisoft has declared that it is planning to only develop sequels to existing properties until the next generation of consoles is released, and it will not develop any new IPs because of the risks of a big budget bomb. Activision considered charging a monthly subscription fee for the Call of Duty games before ultimately giving up on the idea because the online was essential to the game (and possibly because the online DLC purchases have already netted millions for the publisher using the free model). All of that simply means that publishers are examining any and all trends and aspects of their business models in order to find ways to either stay—or become—profitable. If trends change, so will the publishers. In an interview with Develop, EA Games Label President Frank Gibeau has said that the future of gaming will involve some form of online connectivity, although not necessarily just the standard multiplayer. This means that we may be seeing the last of single player only games from EA. Gibeau also discussed one of the consequences of moving to the online model. With games focusing more on content that remains fresh due to interactivity, EA is planning to move away from long single-player experiences, arguing that longer games without multiplayer components offer less value to the gamers. Other publishers, including Bethesda, which just shipped five million copies of the single-player only game Fallout: New Vegas might disagree. Bethesda does seem to do well when it comes to expansion packs, but its focus is not necessarily on multiplayer. All of what Gibeau says makes sense, and it is certainly logical to offer some form of additional content by utilizing consoles that are made to do just that. 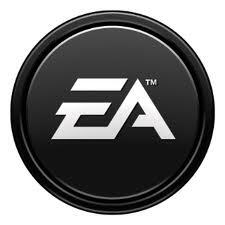 But it is worth mentioning that while this move away from stand alone single-player games is what the customer wants (according to Gibeau), EA has repeatedly claimed that used games are a major reason for revenue losses for the industry, and to combat that the publisher has begun to charge a fee to connect a game that does not have a code included with the game that can only be used once. Regardless of whether or not it was a deliberate decision to specifically target the used game market by offering games in a way that there will be very little benefit to buying them used (and may even cost more when combined with the online fee), or whether this is simply a natural progression of gaming, the next few years should make for an interesting experiment.